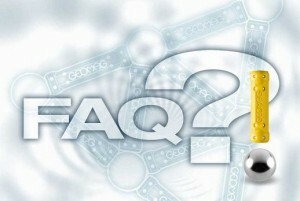 FAQ | H.R. Wellington Construction Inc.
A: Call up and ask about their credentials and experience. How long have they been in business? How many inspections have they performed? If for some reason you don’t feel comfortable asking this of the inspector when speaking with them on the phone then how will you feel asking questions at the inspection. You must feel that the inspector is qualified, experienced and attentive of you needs. Q: What will the Termite Inspection cover? A: A termite inspection covers all accessible areas of a structure to identify wood destroying organisms as well as conditions conductive to future infestation or infection. A numbered diagram on the front page indicates the areas of concern and an estimate for the repairs is included with your report. Q: What is included in the Home Inspection? A: Most Inspections take about two to two and a half hours. These times may vary depending on the size, age and condition of the home as well as the type of inspection or inspections being performed. A: We strongly encourage you to be accompany us during the inspection. During the course of the inspection, you should feel free to address any concerns you may have and ask any questions you have about the home. We will point out issues as they are discovered and explain them to you in an easy to understand language. We will explain how the systems work and what maintenance is required. A: The purchase of a new home is one of the single most costly investments that a family will make. Along with the extra stresses this will add, there is also the fear factor of, “Will This Home Stand The Test of Time?” It is also important to know what YOU, as the primary investor, are getting for your money. A home inspection is an excellent tool for you, the home buyer, to help determine not only the condition of the home, but to also help foresee any immediate unnecessary additional cost that may go unnoticed without the help of a home inspection. Home inspections are not a prediction of future performance, but can pinpoint existing problem areas. Wellington has performed over 11,000 inspections almost exclusively in San Francisco. We are familiar with San Francisco homes and construction styles. A: This is the biggest mistake many potential new homeowners make when purchasing a home. Although the person you are considering may be very skilled, they are not trained or experienced at professional home inspection. Professional home inspection is a unique skill like no other. Professional inspectors get what we call an inspector’s instinct for problems. That instinct takes extensive training and lots of experience doing inspections to develop. Many contractors, and other trades professionals hire a professional home inspector to inspect their homes when they make a purchase. A: You can call us and discuss all aspects of your new home whenever you like. Our service is a long-term investment.